Warburton is a fantastic location to see, with a reasonable selection of hotels. There are 5 located less than 5 kilometres from the centre of town. The Oscar’s on the Yarra and Casa Valeri are a few of several terrific hotel options that are close to the main hustle and bustle. Make your way through O'Shannassy Trail. Be sure to use the signs and a map so you stay right on track. If you want to stay nearby, check out Charnwood Cottages and Forget Me Not Cottages. They wont disappoint! If you find yourself requiring more accommodation options in Warburton, look into the Hill 'N' Dale Farm Cottages and the Healesville Apartments. They are 10 kilometres and 19 kilometres away from the center. Further alternatives are the Marysville Garden Cottages, 25 kilometres away, and the Warburton Motel, a kilometre. If you want to check out some close by cities, consider Badger Creek and Healesville. Head 15 kilometres to the northwest from Warburton and you'll discover Badger Creek. Alternatively, Healesville is 18 kilometres to the northwest. 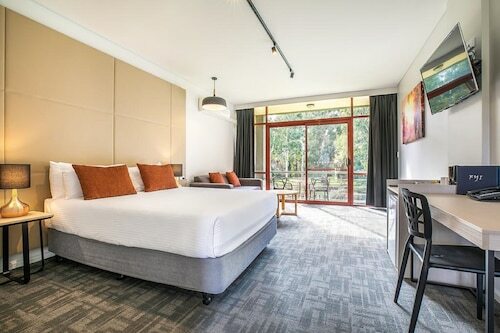 Hotels and apartments in Badger Creek are the Sanctuary House Resort Motel and Healesville Grand Hotel and Garden Accommodation. 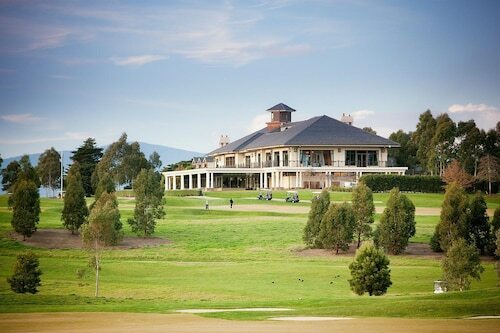 Healesville options are the Yarra Gables Motel and Argyles Yarra Valley - Yambacoona Homestead. If watching sport is your thing, get along to Dandenong Basketball Stadium. It's to the southwest of Warburton. To rest your head nearby, book a room at the Atura Dandenong or the Punthill Dandenong. Tullamarine Airport a practical gateway to Warburton. Nearby hotels include the PARKROYAL Melbourne Airport and the Holiday Inn Melbourne Airport. How Much is a Hotel Room in Warburton? 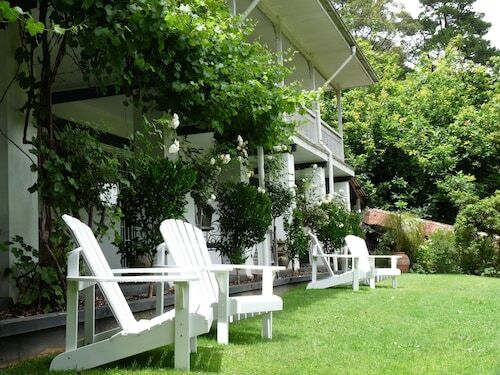 Hotels in Warburton start at AU$120 per night. Prices and availability subject to change. Additional terms may apply. Reception lady was absolutley lovely.Greated with a smile friendly and we felt welcomed.We had dinner at the venue very tasty..Only bad thing was bed was not atrached to the wall and one more thing if you have noisy neighbours you can hear every word. Breakfast was amazing! A lovely place to stay. A bit of aussie wildlife also.